Naps can be tricky. The time of day, the length, the location, and your current sleep schedule all influence the effectiveness of the nap you take. 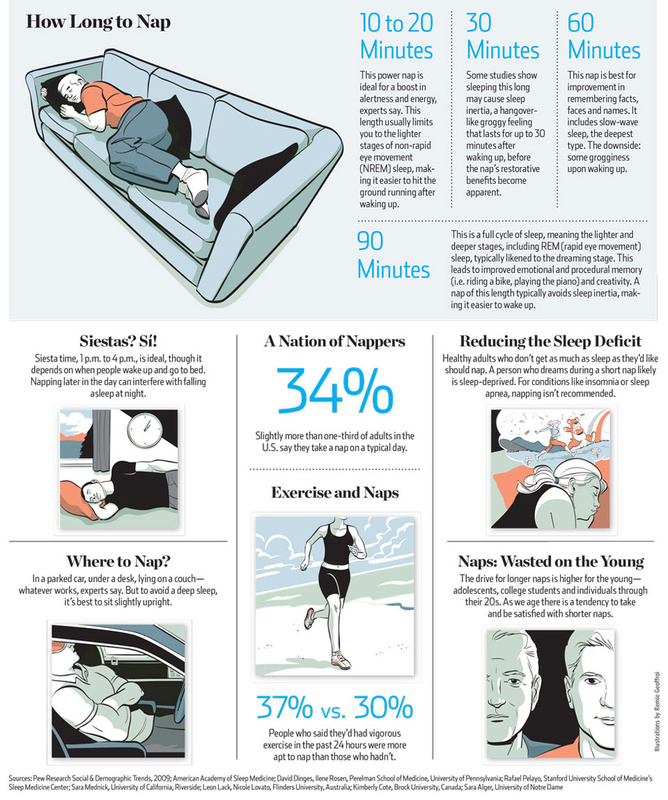 According to the infographic, the best time to take a nap is between 1:00pm-4:00pm. For most, that time is right after lunch–when it’s time to get back to work–which makes getting a little extra sleep seem impossible. When could a nap be taken? Of the four nap time lengths, 10-20 minute naps are the only feasible option. The 10-20 minute nap boosts energy and alertness–so, napping for this amount of time could give you an extra push to get through the rest of the work day.